The ED said that the investigation in the case was at a crucial stage and if granted the relief, Chauhan, who was arrested on July 9 last year, could tamper with evidence and flee from justice. 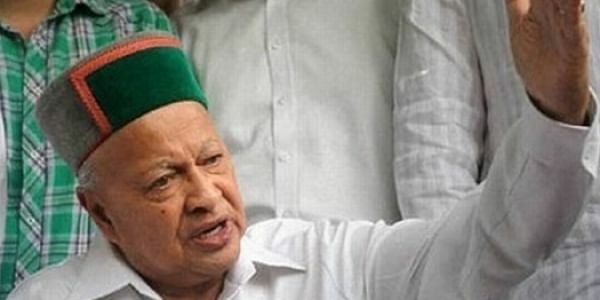 NEW DELHI: The Enforcement Directorate today opposed in a court here the bail plea of an LIC agent, chargesheeted in a money laundering case allegedly involving Himachal Pradesh Chief Minister Virbhadra Singh, saying the charges against him were grave. The ED told Special Judge Santosh Snehi Mann that the investigation in the case was at a crucial stage and if granted the relief, Chauhan, who was arrested on July 9 last year, could tamper with evidence and flee from justice. Special public prosecutor N K Matta, appearing for the ED, said the probe in the case was going on and the agency was likely to file a supplementary charge sheet in a month. The accused alleged that the agency was probing "luxuriously" against the other accused while he was in custody since July 9 last year. "The main accused, including Singh and his wife Pratibha Singh, are yet not chargesheeted while they (ED) oppose my bail even after so many months," senior advocate Rebecca John, appearing for Chauhan, said. She also told the court that all the accused, who were chargesheeted in the CBI case along with Chauhan, were granted bail by the court. "You keep one man in custody and probe luxuriously against the others," the advocate said. The court will pronounce the order on December 23. The accused, currently in judicial custody, has claimed in his application moved through advocate Tarannum Cheema that he was not required for the purpose of investigation and has already spent over a year in prison since his arrest in July last year under the provisions of Unlawful Activities Prevention Act (UAPA). The accused was earlier denied similar relief by the court and later the Delhi High Court. In the present application, the accused has cited a recent Supreme Court judgement striking down a stringent condition for securing bail in money laundering cases. Chauhan was arrested from Chandigarh in July last year under the provisions of Prevention of Money Laundering Act (PMLA) as he was allegedly not cooperating with the investigating officer. The ED had alleged that during Chauhan's interrogation, it was found that as an LIC agent he had entered into a modus operandi to launder disproportionate assets by investing in LIC policies. The agency had alleged that Singh "while serving as a Union minister, invested huge amounts in purchasing LIC policies in his own name and that of his family members through Chauhan". Singh is not named as an accused by the ED in the present money laundering case. Singh and all the other accused have denied the allegations made against them by the CBI and ED.